But seriously, we have redesigned the new site, not just to look better (although we hope you find it as appealing as we do), or to reflect our brand better (note that cool morphing shape), but to better provide the information you need to make your business more secure. 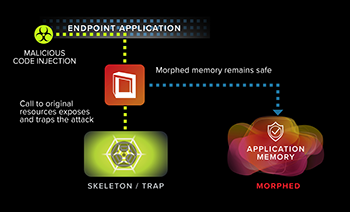 Morphisec has set out to do something radically different in the endpoint security market – a market that is about as saturated as industries come – which is prevent threats from impacting your business at a high rate of efficiency, efficacy and with a deterministic methodology that terminates advanced threats trying to penetrate the OS memory. Other companies cannot do this. So, we wanted to make sure that visitors to our site understand the real significance of this absolute disruption of the endpoint security model as we know it – that when you step in our door and explore our pages, you start to feel the impact Morphisec can have not only in strengthening your organization’s security posture, but in the way it helps you align security with your business. Deep dive into what makes Morphisec a unique security proposition. 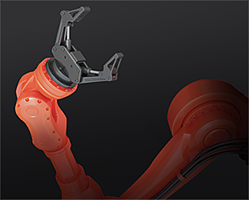 Learn more about Moving Target Defense through the Product Overview interactive graphic. Discover how Moving Target Defense protects Virtual Environments , Servers and thwarts Browser-Based Attacks on the Morphisec Platform component pages. Dig even deeper by downloading a case study or watching a webinar in the related featured resources section. Sophisticated attacks that bypass detection-based security controls are the biggest cybersecurity challenge for every business. Whether you’re a large or small enterprise, in healthcare or manufacturing, find expert content that provides the facts, figures and materials you need to make informed decisions. Get practical advice from those that face similar security and operational challenges to your organization every day. 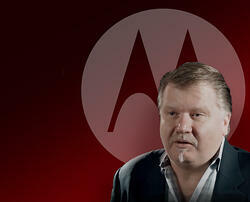 Watch one of our videos to learn how security executives like Motorola CISO Richard Rushing are are using Morphisec to make their organizations more secure and their teams more efficient. Our new site delivers information in a more intuitive way so you can find expert content that is most relevant to you. From easy to use navigation, to embedded relevant resources, to our ever-expanding Resources library, we’ve made it easy to discover the facts you need to inform your security decisions. So explore the site and let us know what you think. We’d love to get your feedback!